I wasn't familiar with GPL prior to listening to this EP. 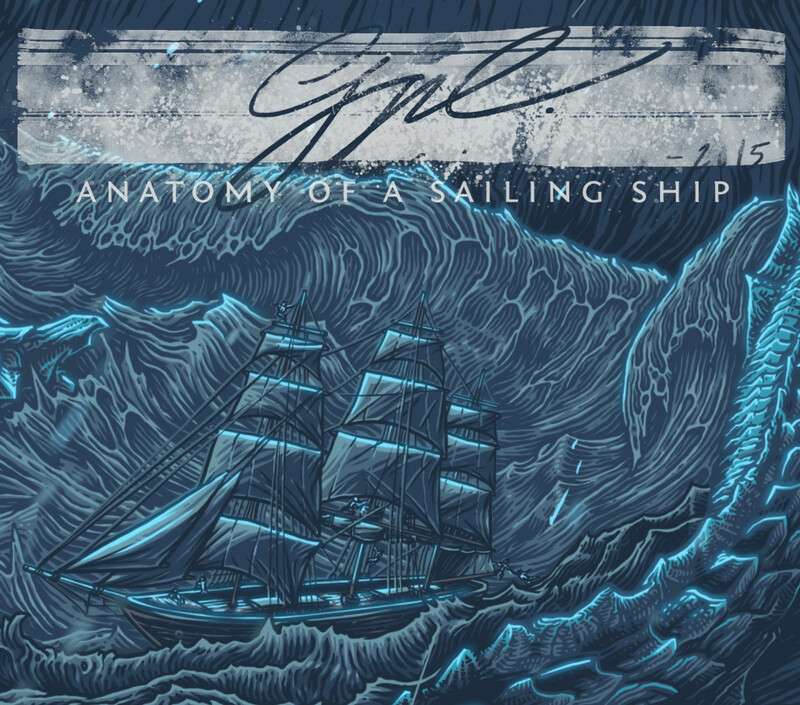 "Anatomy Of A Sailing Ship" was released in 2015, and carries all the elements of a good punk rock album. The compositions are upbeat and on point, melodic and intense. Personally, I'm a fan of music that's written to be played on stage without relying on cheesy clichés to keep interest and that's exactly what these lads seem to have done. The energetic backing vocals really compliment the distinct vocal lines, at times giving the listener a concert-like feeling, without going overboard. Two tracks really stand out for me; "One Good Sign Inside" (with the amazing intro and these pretty awesome harmonies that make you want to dance around your bedroom in the middle of the night) which transitions almost seamlessly to "Bottled Message" with the somewhat melancholic vibe. The music flows nicely throughout the album while the overall outcome is balanced, perfectly displaying the band's influences.